HTC is planning to launch their new "phablet" device in the beginning of December. The HTC J Butterfly, an Android OS 4.1 Jelly, will be available in japan first before it is rolled out in other part. It uses Qualcomm's latest Snapdragon S4 APQ8064 quad-core 1.5GHz processor, has 2GB RAM, 16GB storage as well as a microSD card slot. 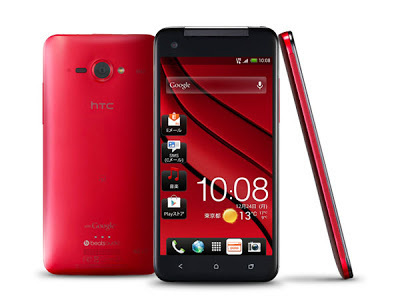 It features a 5-inch Full HD display (1,920 x 1,080 pixels) and gets Jelly Bean out of the box. The price has not been confirmed yet but looking at the specs, we expect it to target the high-end consumer market.